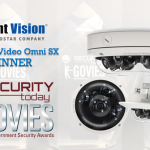 The video surveillance market is strong and will continue to grow. It is less a lumbering giant, though, and more an agile athlete, able to pivot and adapt — it just happens to be the largest one on the security court. Any fears of market saturation seem to shrink in the face of the cross-functional video applications, integrations, video surveillance as a service and improving technology, better cyber security, and the unquenchable thirst the world seems to have for having cameras everywhere. In the U.S., a robust economy and increased awareness of the need for security have fueled the growth in this industry segment, so much so that some security integrators are finding their biggest challenge is learning how to harness that growth and not let it run away with them. *Percentage of respondents from SDM’s 2018 and 2019 Industry Forecast Studies, conducted Sept. 2017 and Sept. 2018 among SDM’s subscribers. Positive perception of the video surveillance market is once again leading the pack, up slightly from last year’s 87 percent positive perception to 91 percent positive. 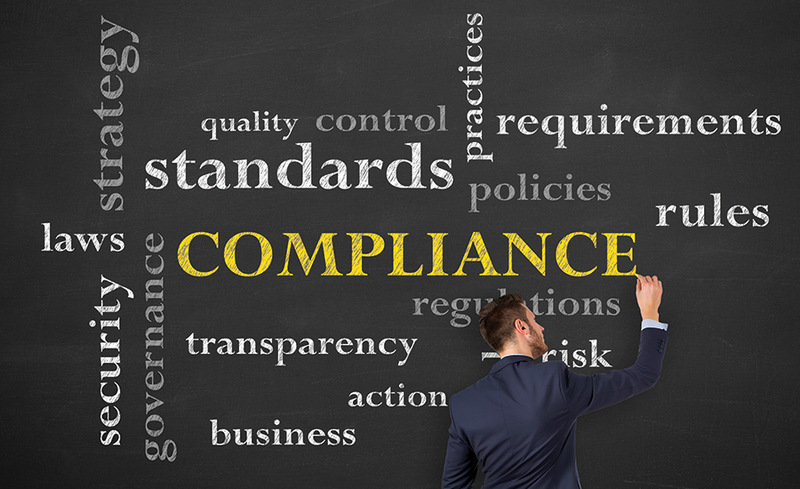 A common buzzword in video surveillance is “compliance,” although perhaps not everyone means the same thing when they use it. 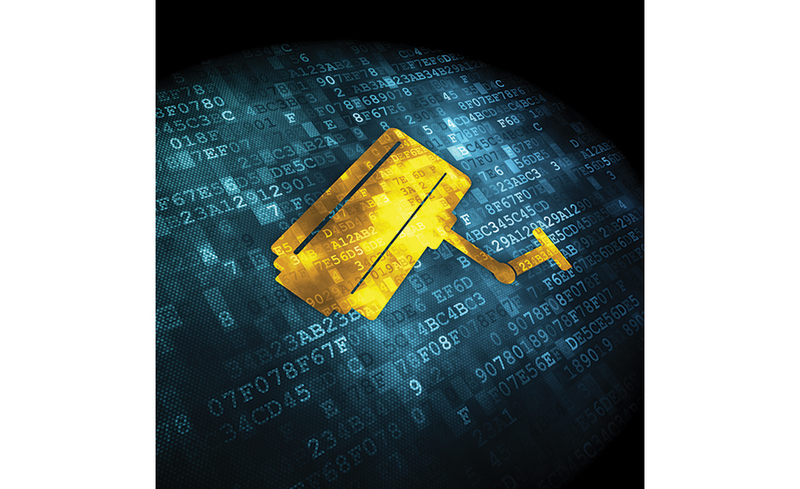 Organizations such as ONVIF have a stated purpose of facilitating interoperability and connectivity between disparate devices and systems. The concept is a necessary and good one as the trend toward connected platforms continues. Understandably, manufacturers want to be seen as doing their part to make their products interoperable and able to be a part of the customers’ connected systems. But some frustration has arisen as integrators find that “ONVIF-compliant” doesn’t always mean what they think it means and manufacturers aren’t exactly throwing the curtains open, so to speak, and allowing anyone to just tie in. Though with some of the aforementioned changes and factors affecting the market, such as greater video surveillance integration, increased VSaaS, a greater migration to cloud, and such, many security professionals — from manufacturers to security dealers and integrators — seem to be taking a more realistic approach and not taking a strong market for granted. Understanding the changes and pivoting with the market is crucial to thriving. 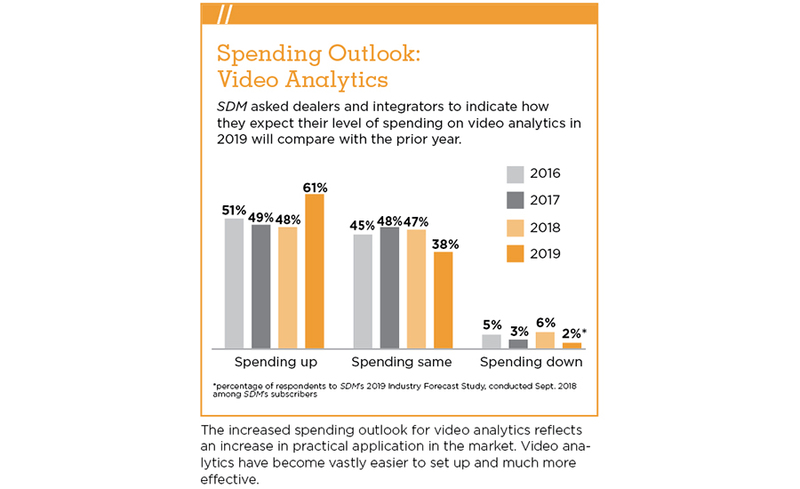 SDM asked dealers and integrators to indicate how they expect their level of spending on video analytics in 2019 will compare with the prior year. The increased spending outlook for video analytics reflects an increase in practical application in the market. Video analytics have become vastly easier to set up and much more effective. There is no denying the economy is strong, and that certainly is helping fuel the market; a decade ago, companies were learning to tighten their belts and cut costs, often only to narrowly sidestep going bankrupt. However, while occasionally some may still be tentative, companies are hiring, they’re building new facilities, they’ve got a lot more people and assets to worry about, and they’ve got some money to spend, describes Dunn. A strong economy, though, cannot alone account for the strength of the video surveillance market. Certainly increased awareness and more knowledgeable customers (who happen to have more capital to invest in security solutions), are helping security integrators up their game in the video surveillance business. One of the themes in this year’s State of the Market report has been the increased adoption of cross-functional use of video. In fact, one of the reasons video continues to defy saturation expectations, is that there seems to be no end to the additional uses for video besides, and in addition to, security. James Henderson, president and COO, Avigilon Corporation, Vancouver, Canada, explains: “Today there are more cameras at higher resolutions recording more video than ever before — but the vast majority of this data is never viewed. Adding more cameras increases the amount of video data collected, but if it’s not viewed, useful information is missed. As a result, the demand for video analytics is increasing globally.” And with this increase in video analytics, security professionals and end users are finding that video can do much more than capture and store pictures. Garms says, “We’ve developed special analytics, especially in the retail sector where you can use these video cameras and metadata to drive your business and really you have them installed already — why not have that security camera alert you when a line gets too long at your cash register? Or when you are monitoring an exterior door, what if someone were to put a pallet in front of that door and it is an emergency exit? You can use those analytics to notify you of that,” he describes. Jake Cmarada, senior business development manager, enterprise sales, Dahua Technology USA, Irvine, Calif., agrees, explaining they are seeing a demand for new sensors and other devices to be used and added to traditional security solutions to deliver new and valuable deliverables. “Incorporating new devices and increasing the AI and BI functions and reporting will continue to turn traditional security projects into robust AI/BI/smart city solutions with a variety of ROI incentives,” he says. 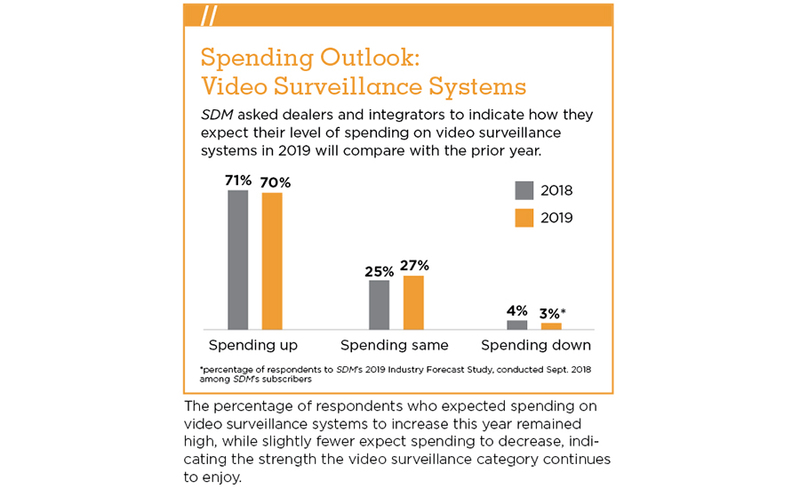 SDM asked dealers and integrators to indicate how they expect their level of spending on video surveillance systems in 2019 will compare with the prior year. 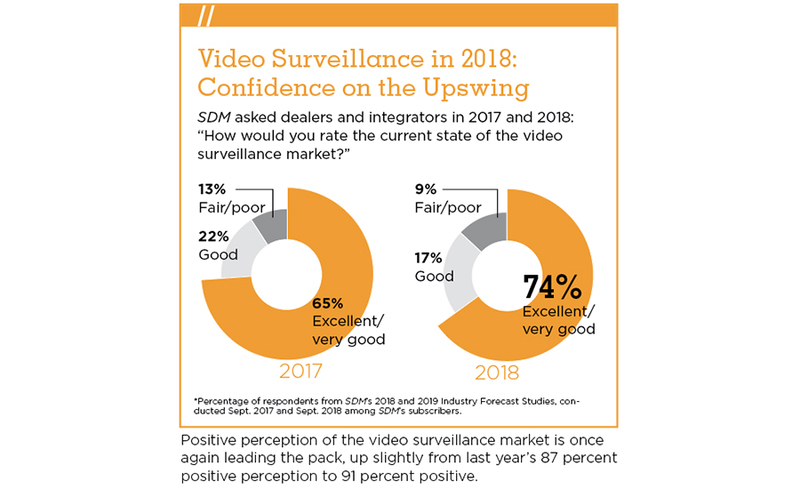 The percentage of respondents who expected spending on video surveillance systems to increase this year remained high, while slightly fewer expect spending to decrease, indicating the strength the video surveillance category continues to enjoy. Steven E. Paley, president and CEO, Rapid Security Solutions, Sarasota, Fla., says that with security on everyone’s mind, he finds it hard to believe that anyone providing a decent level of service would not be growing their business in this economy. “Really for us we have to make sure the growth is controlled so that we can still provide a high level of service and have enough technicians to actually install and service the stuff,” Paley says. SDM asked several security integrators, manufacturers, and organizations around the industry: What kind of impact is cyber having on the market, and what steps can dealers and integrators take in that area to protect and prepare? “The industry grew as demand for video surveillance increased exponentially, albeit with little regard to cyber issues until three or four years ago. Much has been done by the manufacturers to make products more secure, but much more needs to be done. The IP portion has created new markets for integrators to explore and create offerings. — Bob Dolan, director of technology, Anixter Inc., Glenview, Ill.
— Tim Baker, global marketing director for commercial security, Honeywell Security and Fire, Melville, N.Y.
— Bret McGowan, senior vice president, marketing and sales, Vicon Industries Inc., Hauppauge, N.Y.
— Fredrik Wallberg, director of marketing for security and ITS, FLIR Systems, Wilsonville, Ore.
— Jeff Whitney, vice president of marketing, Arecont Vision, Glendale, Calif.
— LayPeng Ong, senior director of global sales and emerging business, Seagate Technology, Cupertino, Calif. In addition to the growing pains and the struggle to fill positions with good, qualified people, security integrators are finding that the video surveillance market isn’t the same as it was 10 years ago. Rao-Russell says that while video was part of 44 percent of Kimberlite’s sales last year, many of those sales included interactive services with video and access control together or video and intrusion together. SDM asked dealers and integrators to indicate their share of 2018 revenue by products. 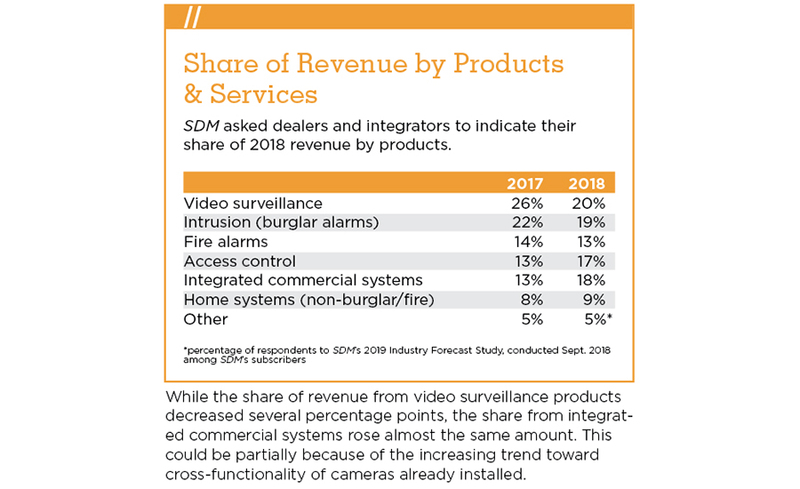 While the share of revenue from video surveillance products decreased several percentage points, the share from integrated commercial systems rose almost the same amount. This could be partially because of the increasing trend toward cross-functionality of cameras already installed. Rather than seeing security industry growth as something that happens in greenfield environments, Baker says more and more integrators are able to focus on existing spaces and then use those as an opportunity to have a conversation about how to integrate not just video, but video along with access control, with intrusion, with other building management systems. “It is a really good path to growth with our integrators,” he adds. At the time of writing, the government is currently shut down in a deadlock over funding of the border wall. The government excels at stalling, disagreeing and partisan politics. With that in mind, to what extent can we expect government regulations to be the answer for cyber security and related issues? Rao-Russell explains that standards, legislation and compliance will never move as fast as the threats, however: “Keep in mind, by the time some kind of legislation for cyber security comes out and has made it through legislation, the hackers are already 12 steps ahead of us. So it becomes incumbent upon the general public to enlist best practices and invest. In some respects, it becomes a self-policing and, frankly, a self-preservation because I absolutely don’t want to be hacked, and I don’t want my customers’ information going out there. I think we will police ourselves more than legislation,” she concludes. And so the question becomes, can the security integrator evolve at the same rate that the video surveillance market evolves? 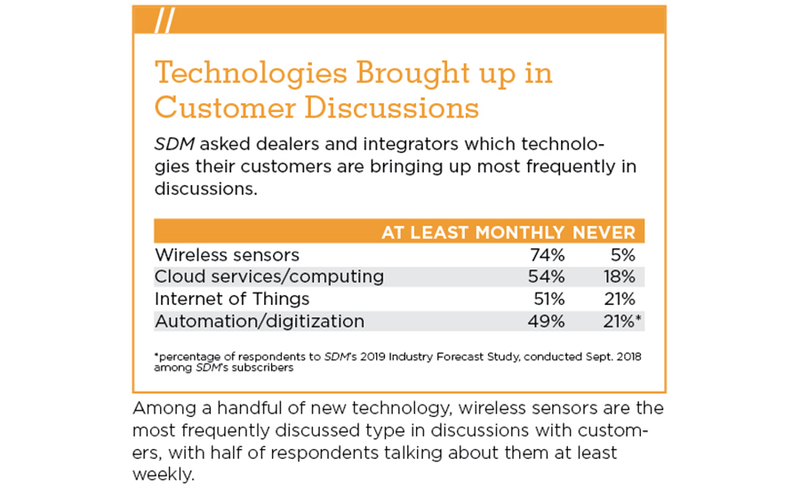 SDM asked dealers and integrators which technologies their customers are bringing up most frequently in discussions. Among a handful of new technology, wireless sensors are the most frequently discussed type in discussions with customers, with half of respondents talking about them at least weekly. Ken Francis, president, Eagle Eye Networks, Austin, Texas, concurs, adding that a great deal of Eagle Eye Networks’ lead activity is being generated by end users searching for a cloud/subscription system that alleviates their management of the day-to-day operational aspects of their video surveillance system. To what extent does the media’s coverage of security breaches, burglaries, mass shootings and crime play into the public’s desire to have security systems? The robust economy alone cannot account for people’s desire to be secure; people are more than ever aware of what is going on in the world, and they are fearful, says Steven Paley, Rapid Security Solutions. It’s a common trope: Back when I was growing up, parents let us kids be kids. Nobody knew where we were all day during the summer, we didn’t wear seatbelts, people smoked in front of us, we ate peanuts and all sorts of non-organic food, and we turned out fine! Most of these practices — free-roaming children in particular — have been, for the most part, phased out of general acceptance as the media zeroed in on one horrific kidnapping or another, covered it ad nauseam, and scared parents just enough so that they couldn’t shake the nagging thought: It probably won’t happen to my kids, but if it ever did, I’d never forgive myself. That kind of doubt can be a powerful persuader, and while the number of children abducted by strangers is miniscule and the number of total missing persons of all ages is trending down (FBI statistics show a 31 percent decrease between 1997 and 2011 according to The Washington Post), parents seem to keep their children under constant supervision more than ever. Sometimes this awareness effects positive changes, such as the 1984 establishment of the National Center for Missing and Exploited Children, and certainly the public’s awareness of digital threats and the need for greater cyber security. 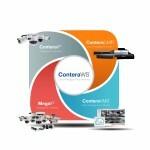 This, of course, is an opportunity for dealers and integrators to come in and provide the peace of mind customers want. 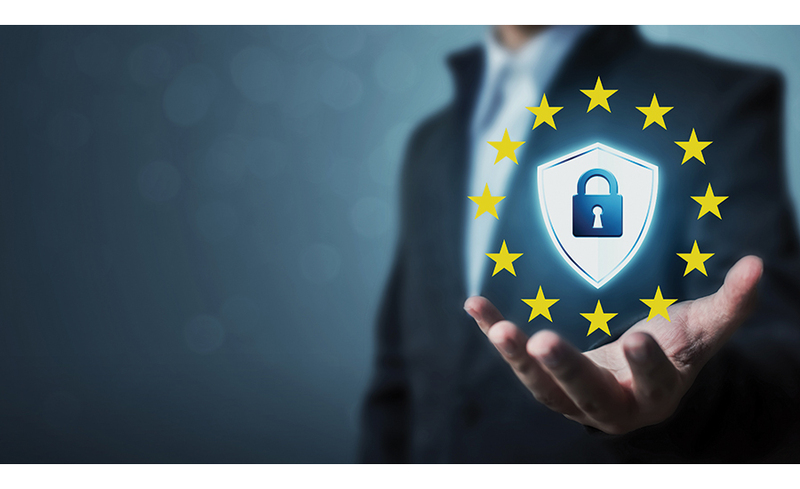 Regardless of opinions about the information age and the 24-hour news era, it is important to understand this desire for security and to specifically show customers how technology can make them secure. Unfortunately, Hogan says, technology often comes to market that is left under-utilized: new features are not activated, training is lacking, and the result is far less impactful than the promise. “Configuring and training is a value-add for the systems integrator to show off the new technology,” he explains. “Once you have shown end users how to utilize the new features, they love the enhancements. Unfortunately, I see many end users still using an old interface, seemingly unaware of how the system can help them do their job.” This is where educated and knowledgeable security integrators can really differentiate themselves and help their customers see the value the integrators have brought to the table.